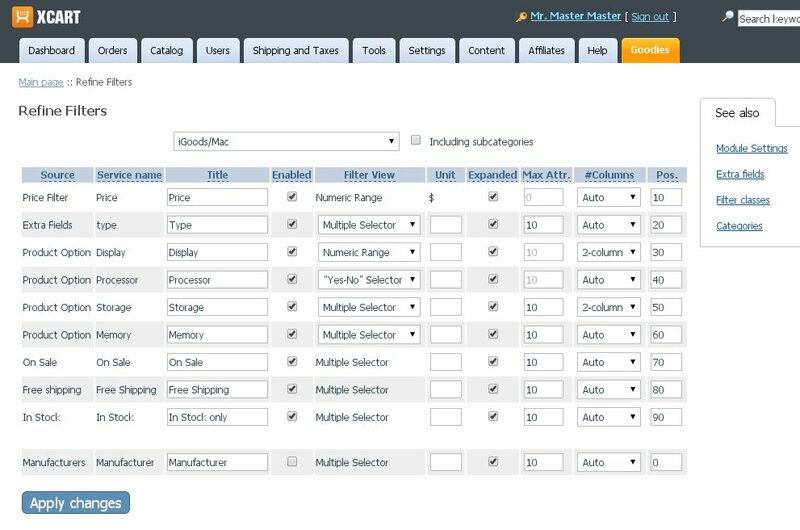 Help your customers stop looking for a needle in a haystack with X-Cart’s Refine Filters module. Refine Filters offers a brand new way of navigating your store that allows customers to quickly find exactly what they need. Working from your existing product options, variants, feature comparison classes and more, Refine Filters generates radio buttons and numeric sliders and even allows for multiple selections to help your customers narrow a products list down to what fits their needs. Imagine navigating hundreds or even thousands of similar-looking medicines or auto parts to find the one you need. With Refine Filters, your customers can leave the nightmare behind and find what they are looking for in just several clicks—increasing sales conversions, generating add-on sales and lowering your customer service workload. Filters are updated by AJAX based on what the customer chooses for maximum efficiency. Disable, rename or even configure the appearance of any filter. Choose from options including a yes/no/doesn’t matter selector, a multiple selector and a numeric slider. Your customers can specify multiple filter values as part of their search, getting them to the product they want as quickly as possible. 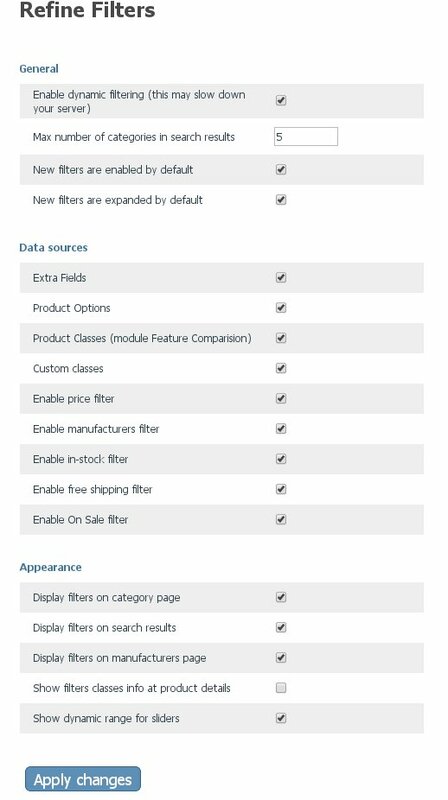 No need to create filters from scratch – they are automatically generated from your existing product options, variants, extra fields and feature comparison classes. Want more tracking options? Add custom classes to group filters any way you want. Filter anytime, anywhere on the site. 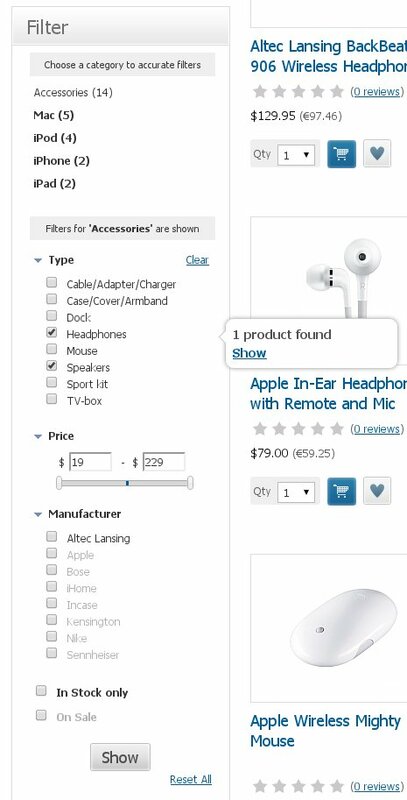 While linked to specific categories, filters are also displayed in product search results and manufacturer pages. Choose from a wide range of special filters including price, manufacturer, free shipping, in stock, on sale and more. Looking for a specific feature not listed above? We suggest them here.